Stronger Magnesium Oil Spray Ingredients: Magnesium chloride suspended in pure water. Apply to skin and massage in to help adsorption. 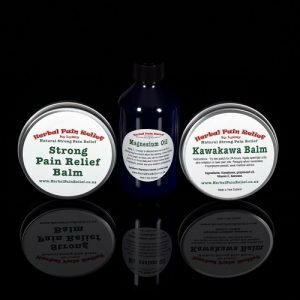 Topical pain relief cream. 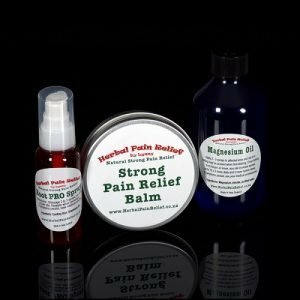 Relieves most types of pain between 40-100% from a sore big toe to headaches. 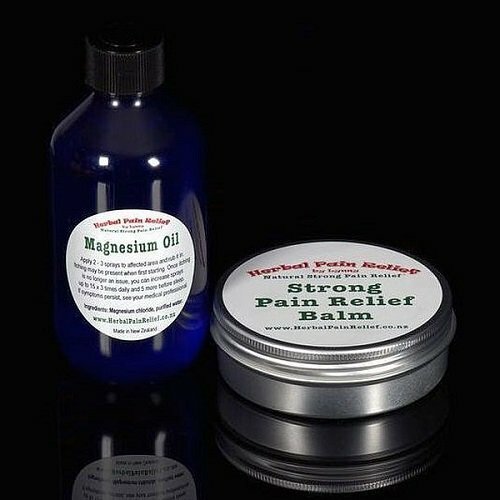 Great for arthritis, back pain, inflammation, edema, strong muscle and joint pain, heals skin and bruises quickly.